Denver, also known as "The Mile High City" has more to offer its residents than a high altitude. The city boasts approximately 300 sunny days a year, spectacular natural beauty, and a hopping arts and culture scene. Residents can choose from a diverse selection of neighborhoods in which to live, making it easy to find the ideal spot to call home. Flooring is just as important here in Denver as it is everywhere else in the country. From easy maintenance tile and hardwoods, to warm and plush carpeting, local flooring and carpeting businesses are there to help. For optimal results, find a licensed and insured company that provides a detailed estimate or contract. LoDo — LoDo, or lower downtown, is a hip place to live. This historic section of the city hosts approximately 90 restaurants, bars, brewpubs, and coffeehouses. It's also home to eclectic shops, an expansive park and Coors Field. Home options include converted warehouse lofts and luxurious townhomes. Uptown — Hipsters and young professionals prefer living in the Uptown neighborhood, which contains a combination of charming brick row homes and modern condominiums. Uptown is home to the city's famed "Restaurant Row" in addition to hosting plenty of shopping and nightlife, the Denver Museum of Science, and City Park. RiNo — Once the city's manufacturing district, the RiNo, or River North, neighborhood has evolved into Denver's Arts District. In addition to its studios and galleries, this area also houses offbeat coffee houses, charming cafes, and fabulous shops. Many of the historic industrial buildings are now residential lofts. Knowing how to budget for the work involved in a flooring project helps make the decision making process a little easier. Although the type of flooring and size of the job can influence the ultimate price tag, the following table offers a reasonable idea of what to expect. As this table demonstrates, most flooring jobs in Denver carry costs that are close to the national average. Before drawing up a budget, be aware that these are average costs; actual costs vary depending on the materials, size of the job, and the flooring company. Neither the state nor the city requires flooring companies to have a license. 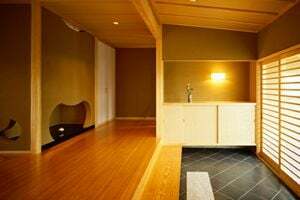 Homeowners who want to be sure that the company they choose is reputable and highly skilled may opt to choose a company with optional certifications from governing bodies such as theNational Wood Flooring Association. In general, most flooring won't necessarily boost home values too much, although hardwood floors typically help resale values quite a bit. More importantly, the right flooring appeals to prospective buyers every bit as much as it appeals to homeowners who walk on it every day. Floors complete the look of a room or a home, making it a valuable investment. Thankfully, Denver residents have many flooring companies to choose from, making it easier to find a reputable company to get the job done correctly and on budget. Comment: 957 sq. Ft. of hardwood needs refinishing. Comment: Hickory flooring installed by Morris Flooring in 2013. It has wood borers, not normal for Colorado. Inspected, sprayed, etc. Now we want to replace about a dozen infested boards, treat entire floor (timbor or Bora-care), and refinish entire floor. Comment: I have carpet and padding I'd like to have installed in my rental home. It is in my garage currently. Old carpet/padding will need to be pulled out. New carpet/padding installed. I have 2 bedrooms, small hallway, dining room and living room. Also if we have enough carpet I'd like to do the stairs. If not enough I am wanting to purchase carpet for the stairs. Denver Flooring & Carpet Contractors are rated 4.76 out of 5 based on 4,090 reviews of 156 pros. Not Looking for Flooring & Carpet Contractors in Denver, CO?